We get it. Some of you are just really tall! 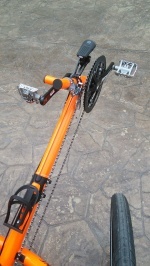 This Extra Long Boom from Catrike will let you adjust your reach so you can ride comfortably.